Just about every week in the summer, my dad takes a trip to the farmers market and comes home with a bounty of produce. Within the hour, like clockwork, there will be a green bean salad chilling in the fridge. 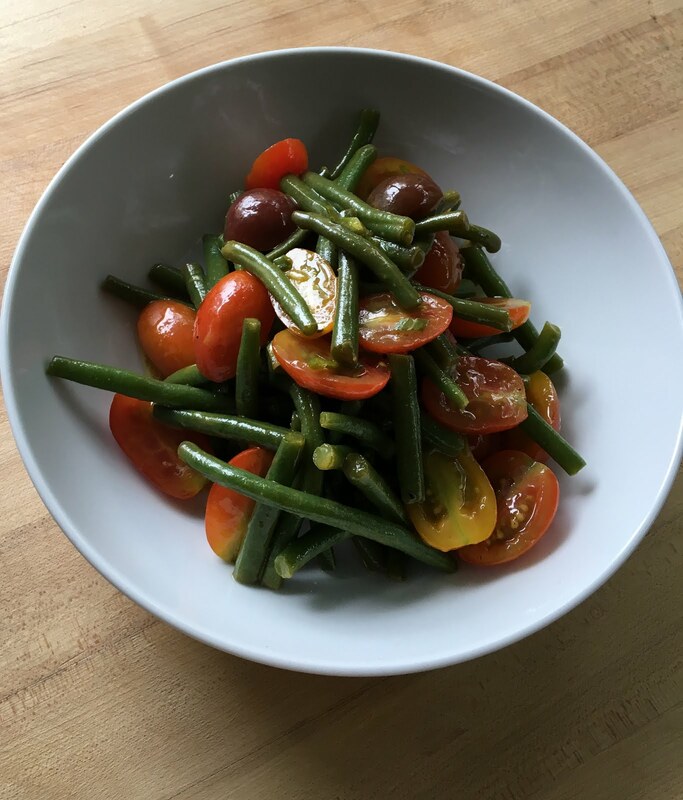 It’s quick to make, easy to snack on, and uses two of my personal favorite farmers market vegetables: green beans and cherry tomatoes. With my dad’s recipe in mind, I decided to put my own spin on the classic salad and add Jay D’s Molasses Mustard in the dressing. The tangy mustard complements the sweetness of the tomatoes, and the fresh greens beans stay tender and bright after being blanched. This simple and refreshing recipe is the perfect side dish for your next summer BBQ! Bring a large pot of generously salted water to a boil. Add the green beans and let boil until a bright green color, about 3-5 minutes. Drain the beans and immediately rinse with cold water to stop them from cooking. Mix the oil, vinegar, Jay D’s Louisiana Molasses Mustard, and salt & pepper to taste. Toss beans, tomatoes, and dressing and refrigerate for at least 30 minutes before serving. Serve cold and garnish with chives, if desired.